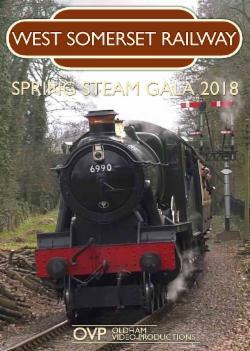 The West Somerset Railway’s Spring Steam Gala 2018 returned to it’s rightful place in March and featured a number of return visitors to the line once again. A predominantly Western Region themed gala also had an impressive World War 2 troop train recreation, which had not been seen on the line for years. The program contains coverage from the gala weekend, and brings together beautiful scenery, outstanding soundtracks, and a mixture of weather conditions. Commentary and on-screen titles and locations are featured in this video.